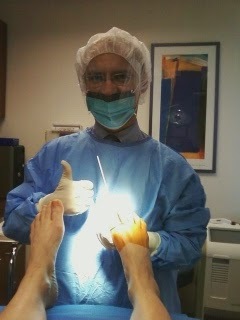 Dr. Pelto's Blog: A little bit about how I became to be a podiatrist. A little bit about how I became to be a podiatrist. 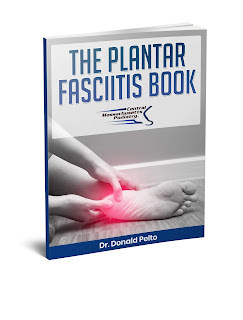 Many of my patients ask me, “How in the world did you decide to become a podiatrist when there are a lot of other doctors that you can be?” I chose to become a podiatrist because I like to help people and I like to get people out of their pain quickly. But really where it stems from is when I was 17, I was an exchange student to Brazil. And while I was in Brazil those that are there they tend to give their children three options of jobs. You can either become a dentist, a doctor, or a lawyer. When I got back to the states I was pre-med and a history major and I was trying to figure out what area of medicine I wanted to do. I shadowed a lot of different doctors and the ones that I liked the most were the podiatrists. I did not even know podiatry existed before, but when I found out and they had a good lifestyle, they liked their patients, they did surgery in the office and the hospital, they had a lot of very nice patients, and for the most part their patients did not die, I thought that was the profession for me. After that I moved to Chicago, went to college, I went to podiatry school at Scholl College of Podiatric Medicine, and then I went to Residency in Worcester, MA both at St. Vincent Hospital and UMass. I have been there ever since. So that is a little bit about me and how I ended up in Brazil and chose podiatry as a profession.